Dr. Derek Shepherd always said "It's a beautiful day to save lives." Show everyone that you will forever be a fan of McDreamy with the Grey's Anatomy Beautiful Day T-Shirt. 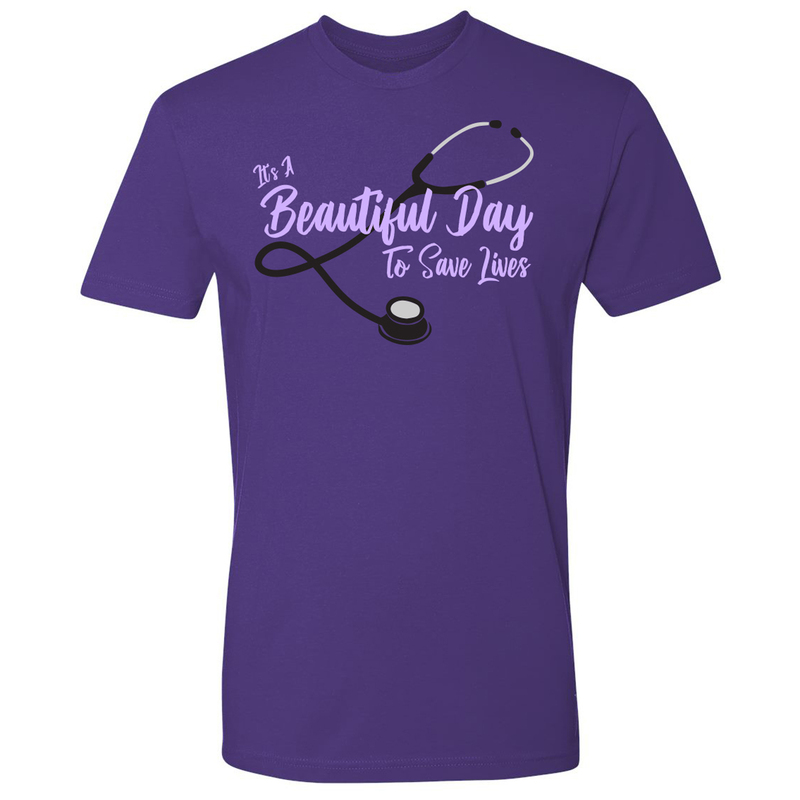 This shirt is a gorgeous shade of purple and true to size. Definitely a win! My Daughter loved the shirt I bought It was very nice I washed it and it didn't shrink . I'm glad I bought it . This shirt is comfortable, great fitting, and definitely catches attention. I have everyone asking me where I got it. Perfect thickness of material. Not thin at all but not too thick, great for year round wear. I love it!